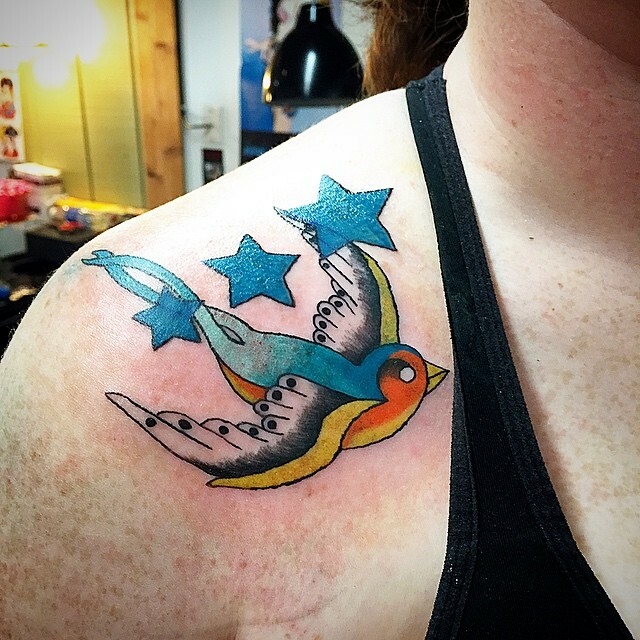 Bird tattoos are some of the most elegant tattoo designs and the sparrow tattoo is one of the best. These tattoos are generally elegant in their appearance and they tend to have a high aesthetic aspect. 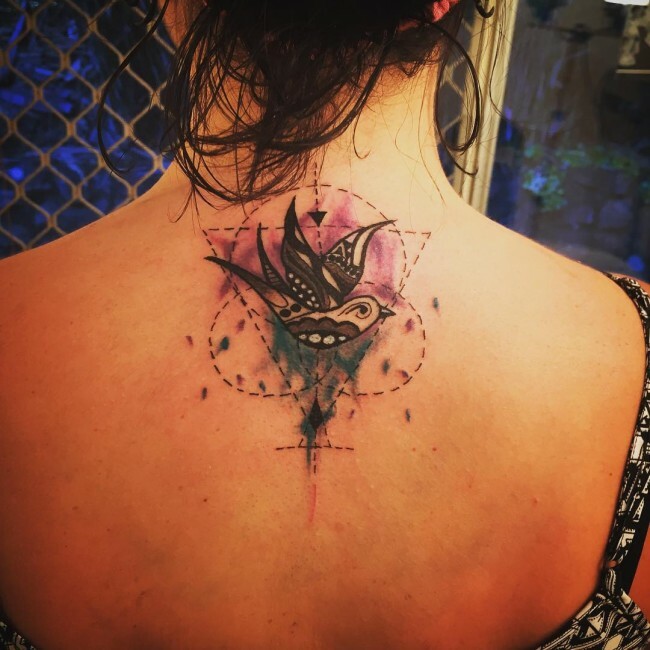 They also tend to have a symbolic meaning and have a slight difference from the swallow tattoo. The sparrows have been associated with many meanings. The birds are generally known to be social and they usually like living near people. They can travel in a flock of families intermingled, or a single family of a few birds. They are mostly associated with the sailors since they were used by the sailors to know that the land was nearer. For that reason, they can be used to symbolize hope. The are several types of sparrows and the Grand Sparrow, in particular, is known to mate for life. For that reason, the sparrows can be used to symbolize loyalty to a family or love. Since they could return home every year, these tattoos can be a symbol of a victory earned or a hardship endured. They are also used in prisons to signify liberty. Usually, not every prisoner is guilty, for that, some can use them to show their own freedom. There are others that will use the sparrow design to symbolize their freedom in doing whatever they want in prison. 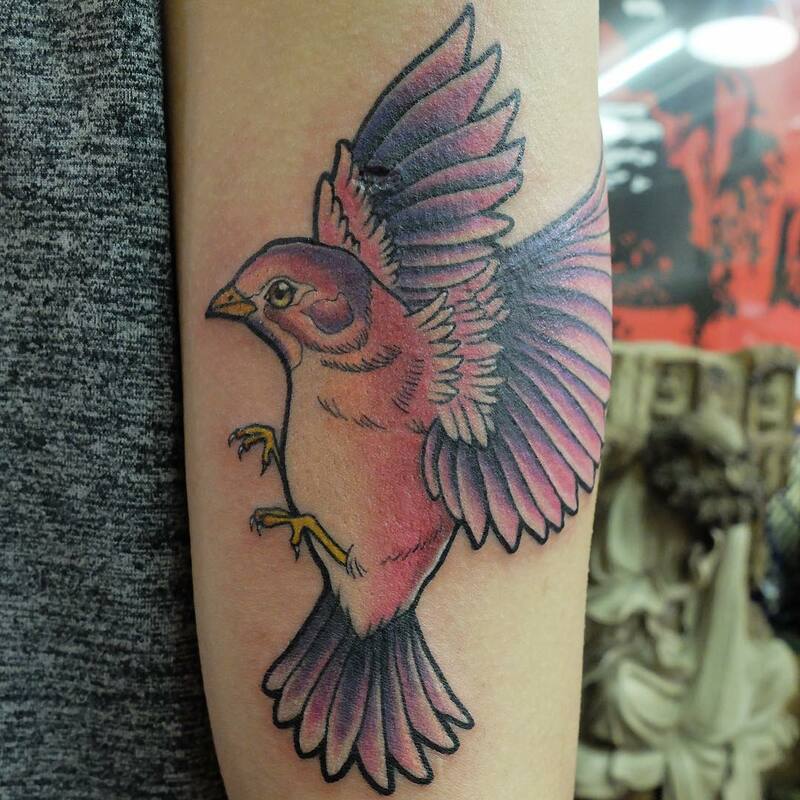 Some people use the sparrow tattoos as a memorial of something special. This originates from the Ancient Egyptians, who believed that the sparrows were able to catch the souls of the dead. 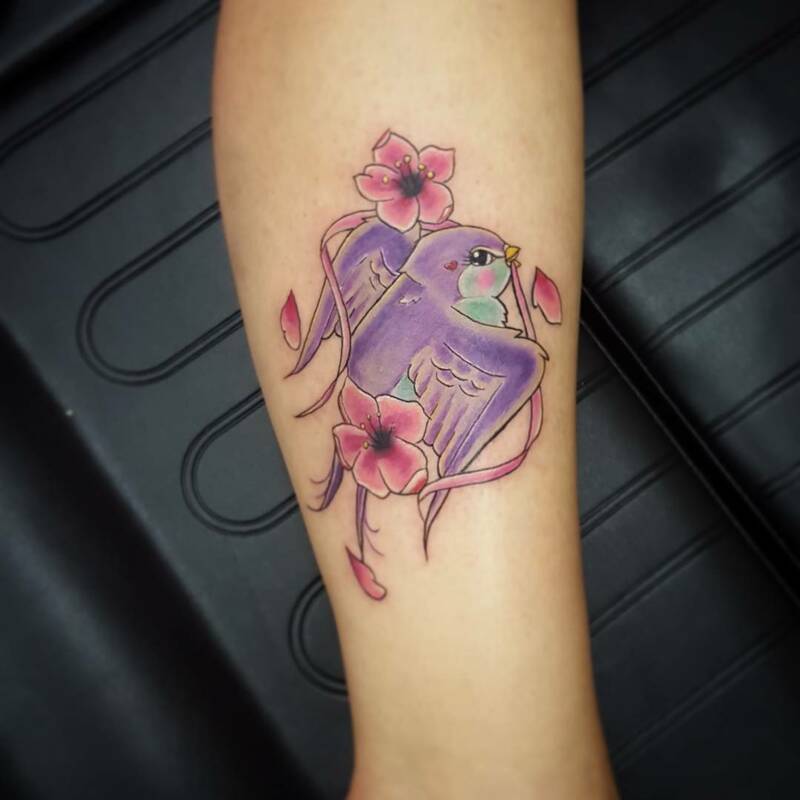 In the recent years, people use the sparrow as a tribute to a person that has died. It can include the bird, along with memorial quotes dedicated to the person. The tattoo can also include the name of the person, along with the dates of birth and death. The design will vary in general and for that, you will want to ensure that you choose the right design of the bird. They may be applied anywhere around the body, including the hand, the wrist, the shoulder, the back, the sides, the neck, legs, thighs, ankle area, chest or anywhere. There is no restriction on the placement of these tattoos. This is the most common and it will have a deep meaning. In most cases, it will be used to symbolize commitment and generosity. 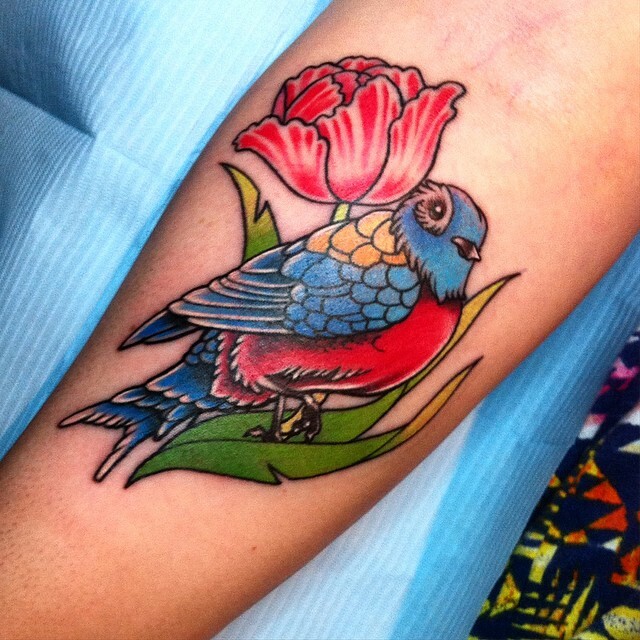 There are some traditional sparrow designs that will symbolize the liberty of a person or their spirited attitude. There are some sailors that will basically wear these tattoos as a sign of honoring the bird, which visit them constantly on the ship. The design of this sparrow will range from one to another. They can have other details like flowers and petals to make it look more elegant. This tattoo tends to be quite popular in the recent days. They can be used to symbolize the rebellious side of a person’s personality. The tattoo is associated with the popular Captain Jack Sparrow of the Pirates of the Caribbean. The captain was a charismatic fellow. Also, the Jack Sparrow would rather avoid confrontation and flee, rather than engage in a fight. These ones are also quite popular and they will come with an elegant design. They will mostly symbolize loyalty and love, which is shared by two specific people. 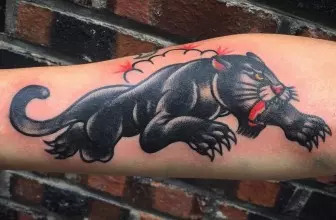 There are some that will apply the tattoo to symbolize good luck or a great fortune. The design of the tribal sparrow looks overly elegant and they tend to have a perfect color blend. The edges of this sparrow design will be sharper and the lines will be bold enough. They can include a tribal fire pattern that looks absolutely amazing. 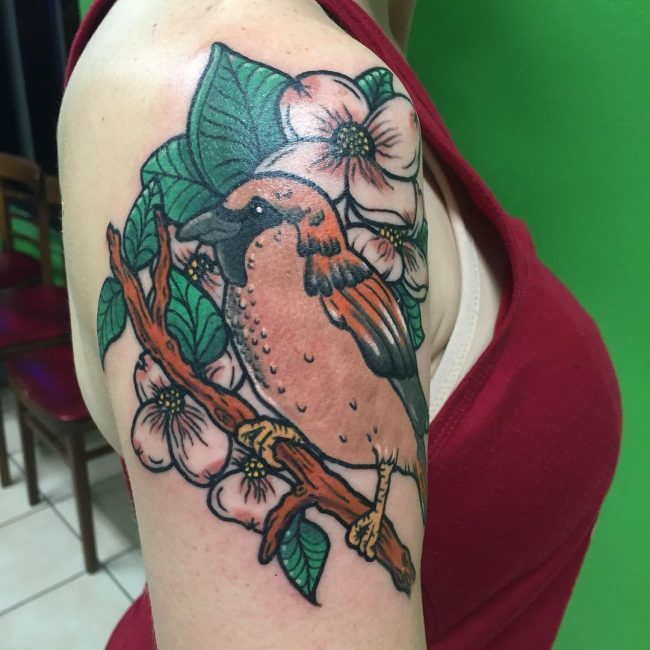 The tattooist can help you have the tribal sparrow designed appropriately. They can also look perfect in a Celtic knot pattern, which adds glamor to them. You can have the design of a dead sparrow applied on your body. In most cases, the dead sparrow will be used symbolize the loss of liberty by a person. Since the sparrows are untamable and free-spirited, the dead sparrow will mean that there is no hope, freedom or love expected in a person’s life. For that, you will want to find a professional tattoo artist that will apply the sparrow to appear dead. If the sparrow doesn’t look dead, it can bring confusion to the person viewing it. These are some of the rarest types of sparrows, since they have less color blend. These sparrows are considered to have a higher ability. They will be more intelligent, and tend to be able to see the deeper things that the mere sparrow can’t. It can be used to show that a person is more capable of something, compared to a normal person. This can be a sign of pride and ego. The Black sparrow can also be used to have some dark meaning, like of a cult. You can have a set of sparrows or a single sparrow flying. They can be used to symbolize various meanings. However, in most cases, it is like a free will and freedom. They are also used to show that the person is at a higher level than the mere people. This one tends to be old school, especially because they do not have much detail. They can be a set of sparrows flying together or perched on a branched. These are mostly used to symbolize love. For that, they will be applied by the two lovers and will mostly have the same design. 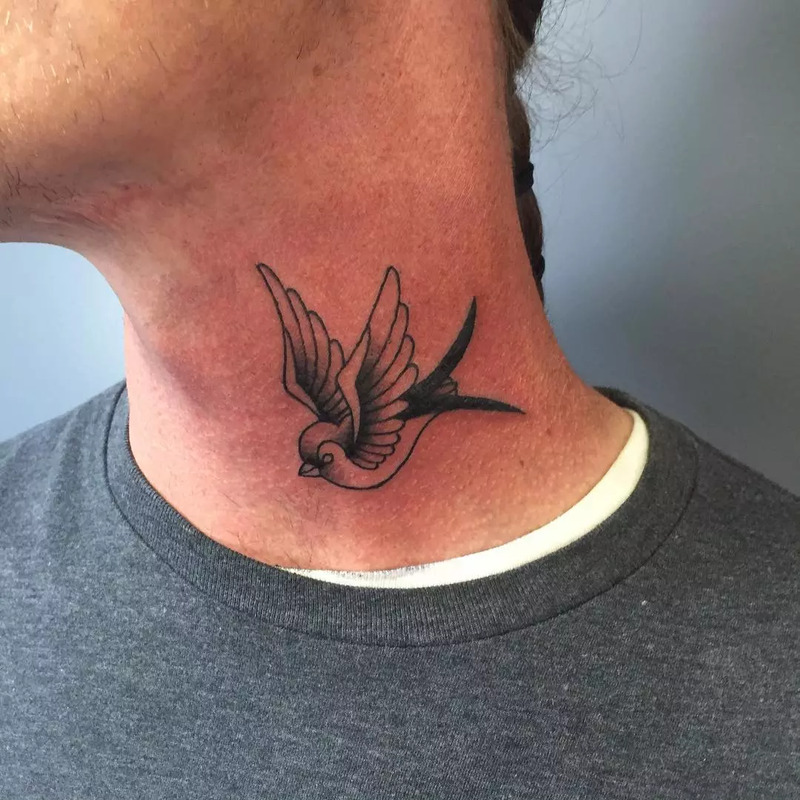 Since the sparrows are almost similar to the swallows, you will want to ensure that you find an experienced tattooist that understands the difference. Choose the right sparrow and always understand the meaning before you can have it applied on your skin.